Walter Reynolds was born in Windsor, the son of a local baker named Reginald. He was brought up at the Court of King Edward I, who appointed him governor of his son. On the accession of Edward II he was made a Prebendary of S. Paul's, Treasurer of the Exchequer and Bishop of Worcester, and in 1310 was appointed Chancellor. Reynolds, who seems to have abetted Edward in his follies and pleasures, was rewarded with the Archbishopric of Canterbury in 1313, when, at the King’s insistence, the Pope set aside the monks' election of Thomas Cobham, Dean of Salisbury. After the death of Piers Gaveston, it was settled that there should be no chancellor, but that the King should appoint a 'keeper' under the superintendence of three persons to be named by the barons. So, about a year into his Archiepiscopy, Walter Reynolds also became the new Keeper of the Great Seal, an office which he retained for twelve months. As Archbishop, Reynolds obtained, from Rome, no less than eight bulls of privileges, the most important of which gave him permission to make a visitation of his province extending over three years, for which time the jurisdiction of all his suffragan bishops was suspended. Reynolds made an attempt to remedy some of the most glaring of ecclesiastical abuses, but his activity was largely displayed in the field of politics, rather than in the guidance of the Church. Notwithstanding his early connection with Edward II and the favour with which that king had always regarded him, Reynolds deserted his master during the troubles that marked his reign, transferring his allegiance to Queen Isabella. He officiated at the Coronation of Edward III, whilst Edward II yet lived. A few months later Reynolds died, it is said from terror, because the Pope had threatened him with spiritual censures for having somewhat irregularly consecrated Bishop Berkeley of Exeter, with a view to please the Queen and her favourite. 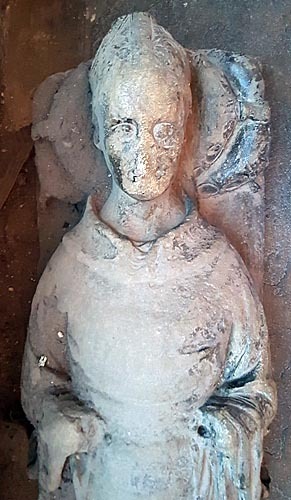 Reynolds effigial monument remains in the south choir-aisle of Canterbury Cathedral (see photograph).